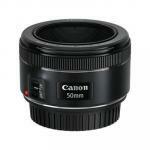 The L-series version of Canon's popular 100mm Macro lens. As an L-series lens it offers the utmost in optical construction, including ultra-low dispersion lens elements and moisture and dustproof seal structure on the barrel. 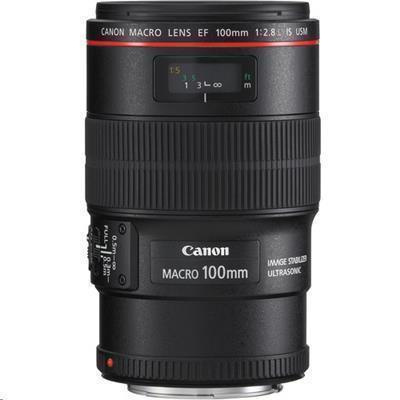 Its 100mm focal length is effective for portraiture and other telephoto applications and as a macro lens with 1:1 magnification and a 12" minimum focus distance, it is ideal for life-size close-up imaging. The lens features Hybrid Optical Image Stabilization with up to 4-stops of shake control for effective low light capture and with the vibration gyro and acceleration sensor it compensates for both angular and shift camera shake during close-up shooting. An ultrasonic focus motor (USM) provides quick and quiet auto-focusing and full-time manual focus override enables precise manual focus eve in AF mode. A focus range limiting function offers three distance ranges to control the range in which the AF looks for focus, thus reducing focusing time. 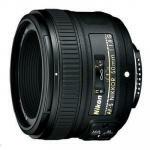 Internal focus system means that the barrel does not extend when focusing, which is crucial when shooting macro. This lens includes a dedicated lens hood and is compatible with an optional Canon tripod collar and Canon Macro Ring Lite. 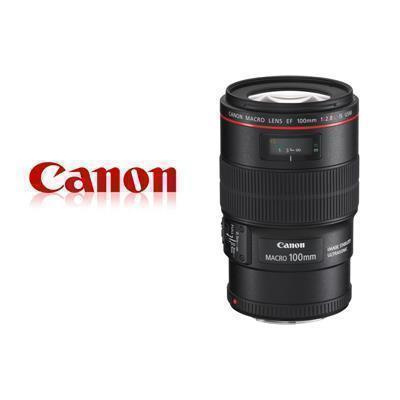 The convenient 100mm focal length of the Canon EF 100mm f/2.8L Macro IS USM Lens allows for a comfortable shooting distance between the camera and subject, and less chance of shadow interference when shooting at closer focusing ranges. 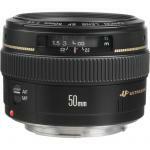 The lens allows for continuous focusing down to 1:1 life-size magnification. 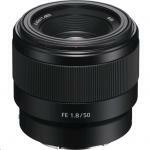 Optional extension tubes can increase this ratio for even greater magnification. 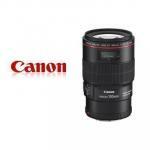 As a Canon L-series optic, the Canon EF 100mm f/2.8L Macro IS USM Lens can be counted among the sharpest, best-built, weatherproof optics available for Canon EOS SLR cameras. 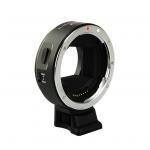 With the vibration gyro and acceleration sensor, the hybrid image stabilization system is effective for close-up shots. With a 4-stop compensation the IS enables blur-free images when shooting telephoto in low light and when working close-up in macro mode. By incorporating an ultrasonic focus motor, Canon has improved the speed and reduced the noise levels of the lens's autofocus system, while still allowing for full-time manual override.